The Signtool actions allow you to automate digitally signing files, applying a timestamp to signed files and verifying signatures of signed files. These actions use the Signtool executable (signtool.exe) which is located in the \Bin directory of the Microsoft Windows SDK. 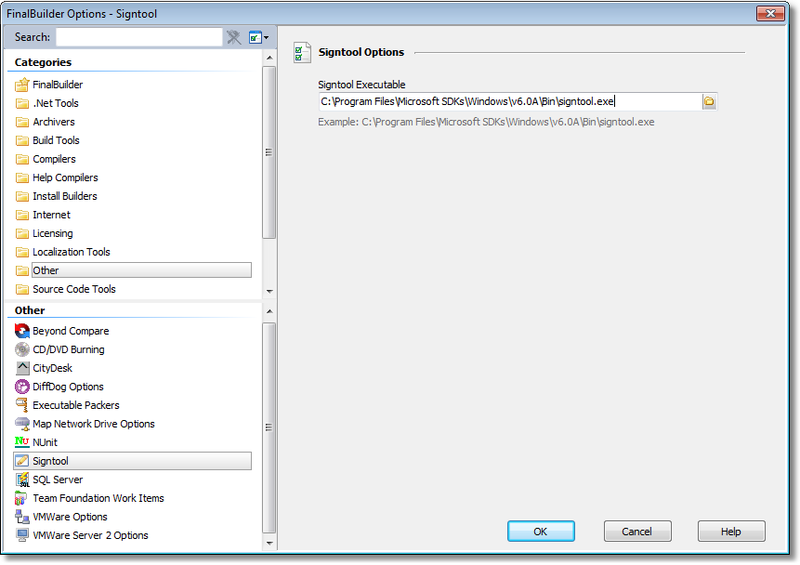 Before using any of the Signtool actions you must first specify the path to the Signtool executable via the options page.